I'm so sorry i haven't blogged in over 10 days... I really wanted to blog but first there were health reasons and then lately my internet is having serious mood swings! I've been trying to post this particular post since the past 3 days! Anyhow, i'm happy to be back and writing. Hopefully next month i can achieve the 15 posts a month... i also have to keep posts scheduled for you all so i don't miss out on blogging for so long again..
Well, i have reduced my shopping a lot but sometimes i just can't resist it... so have a look at what all i picked up! Firstly, i picked up some stuff from Essence. Essence is a drug store brand with really affordable prices which isn't so common now (you know what i mean). It has pretty nice packaging as well.... i really wanted to try this out while i was studying in Pune, but availability was an issue so now that i'm back in Mumbai i thought i'd try it. I picked up an eye shadow brush and a lipstick. Most of their lipsticks have a frosty finish which i'm not so fond of but i really liked the shade plus its not that expensive so i just picked it up. I got the shade Sparkling Miracle! 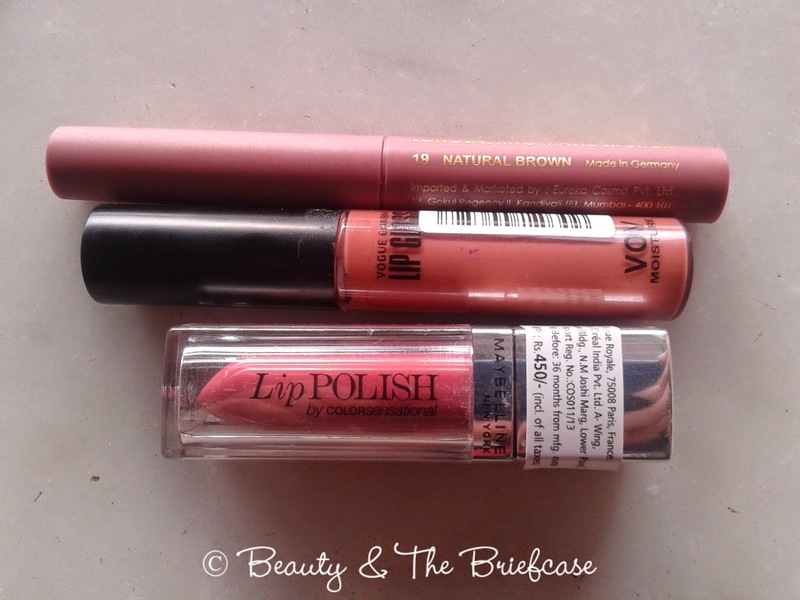 I love lip products! so i went ahead and bought some more*grin* I bought a Miss Claire Matte Lipstick in Natural Brown, a VOV Lip Gloss in the shade 003 and Maybelline Lip Polish in the shade Glam 09. 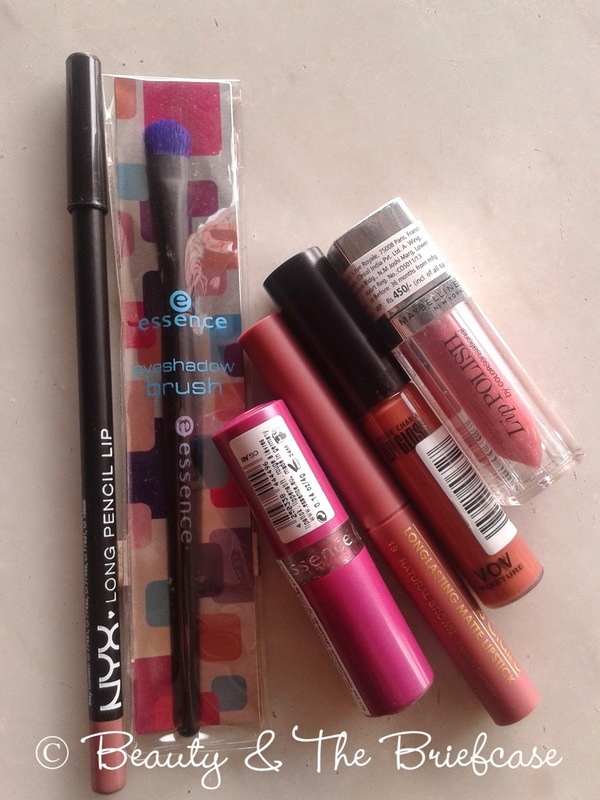 I headed to the NYX counter to pick up either the lip creams or the round lipsticks. 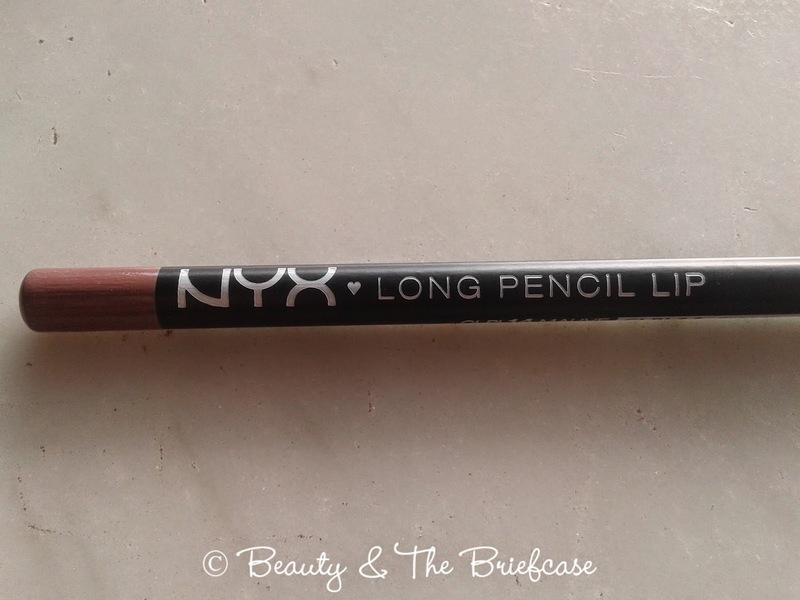 But my bad luck i didn't get either *sob sob* So instead i picked up the NYX Long Lip Pencil in the shade Mauve. 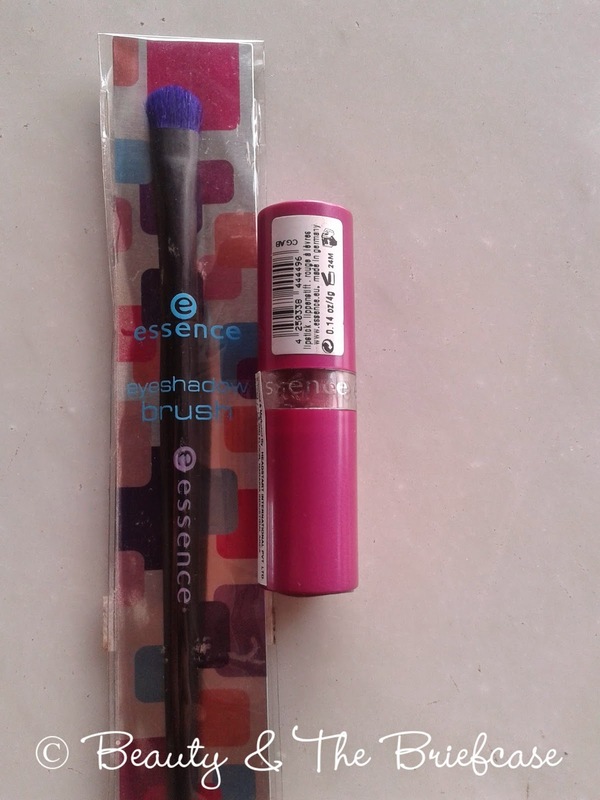 I am yet to try the essence brushes :) Loved your haul. Thanks Manpreet:) ill be doing a detailed review on the brush shortly!